Combine a means of transportation with a tourist attraction. 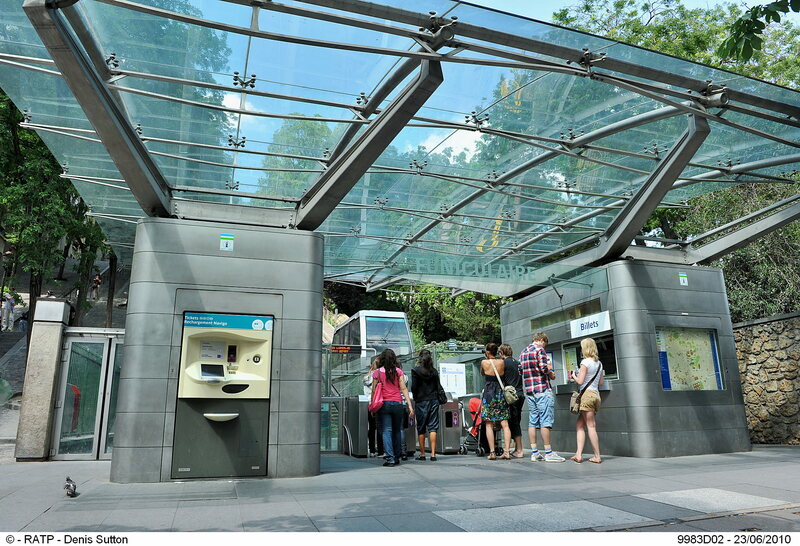 Continue to modernize the funicular railway while preserving its historical character. 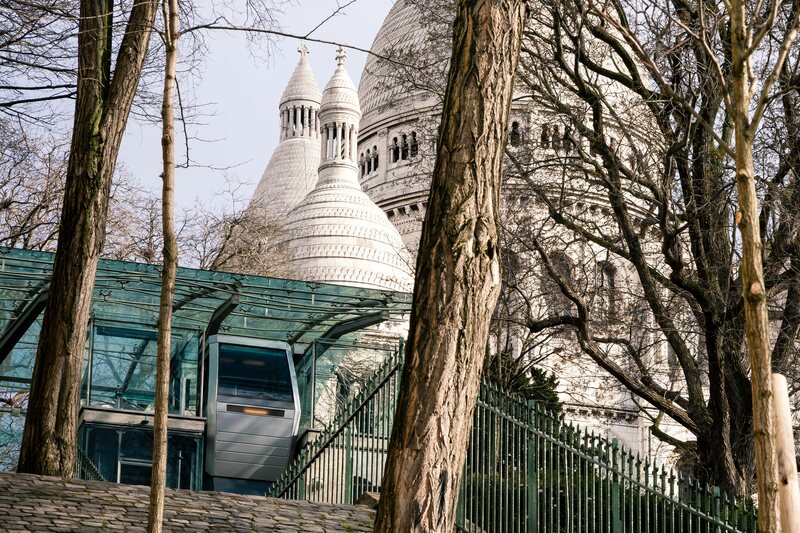 Since July 1900, the Montmartre funicular railway has linked the bottom of the Montmartre hill in Paris with Sacré-Cœur at the top, sparing locals and tourists the climb up. The trip takes just a minute and a half and provides access to one of the most popular vantage points in the French capital. 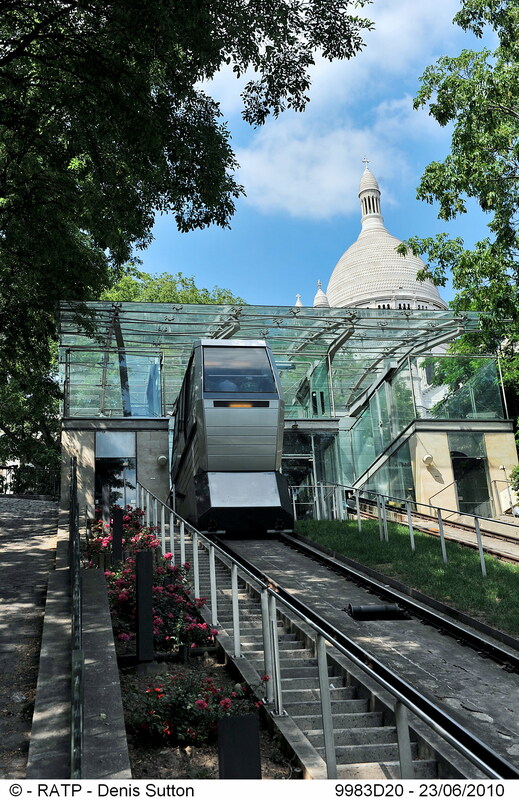 The historical Paris funicular underwent a second major renovation in 1990-91 and received a completely new traction system. It now operates as an incline elevator, providing safe and regular service. The track remains in its original place, retaining the character of the site. The system is fully automatic. Departures are managed by computer using presence sensors at the station and in the cabins. This fully integrated technology ensures regular service, transporting 2,000 people every hour. RATP offers cabins with large windows to let passengers—mainly tourists—enjoy the unforgettable panoramic views along the way. Since June 2017, a free app developed by RATP Group and the French start-up Sky Boy has provided users with a history of the funicular by combining real and virtual worlds in a 360° video using Overlap Reality®.